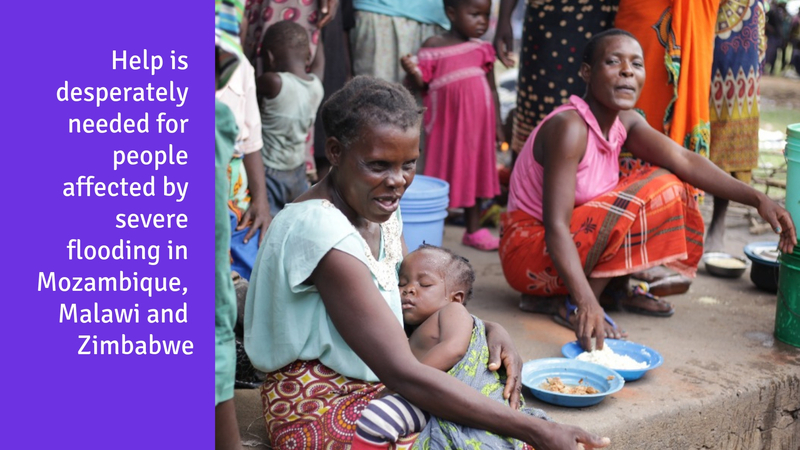 Women and children displaced by Cyclone Idai in Malawi. NCA photo. Global Affairs Canada will transfer the matched funds to the Humanitarian Coalition, which will in turn allocate the funds among its members based on criteria such as their capacity and presence in the affected region. The local church partners of several Foodgrains Bank member agencies, including PWRDF, were among the first to respond to the cyclone using their existing resources and partnerships. The Foodgrains Bank’s share of funds raised through the joint appeal will be used to scale up the efforts of these church partners to provide desperately needed help in the coming weeks and months. The Humanitarian Coalition is a collection of ten leading aid organizations providing Canadians with a simple and effective way to help during large-scale humanitarian emergencies. Its goal is to reduce unnecessary fundraising competition, increase the impact of humanitarian responses and reduce administrative costs. Download and share this Cyclone Idai Emergency response bulletin insert with your parish or community.